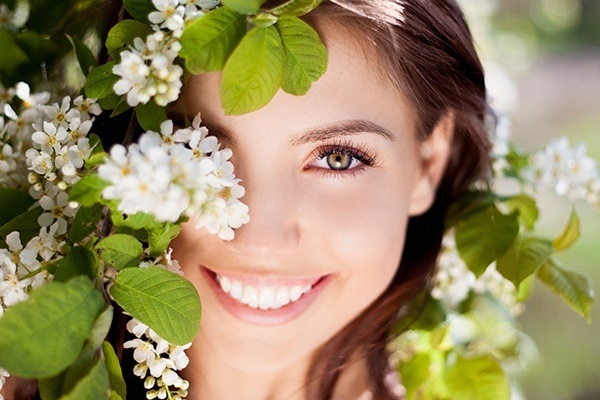 Spring into a New and Improved Smile! The spring season is around the corner and the dentists and team members at Capron Park Dental couldn’t be more excited! We’re hoping that the warmer weather gives us a break over the next couple of weeks, but until then, we hope that you enjoy our most recent quarterly newsletter! In this edition, we’ll be introducing one of our lovely patients Christine, an individual who’s experienced significant benefits after getting the dental work she needed for her smile. It truly is incredible how much of a difference having a smile you’re proud to show off can make! Additionally, we’ll discuss the best ways to keep your smile healthy for many years to come, the importance of routine visits for all of our patients, and how you can kickstart the spring season with a healthy smile you’re proud to show off! Time after time our office hears stories from patients who did not have the most positive dental care experiences at a young age. Christine’s story is no exception. For years she struggled to visit the dentist because of poor experiences in the past and is proud to say that she’s finally found a dental home that she can rely on here at Capron Park Dental. Take a moment to learn her story below! The last thing we want to do is make your dental visit feel clinical, impersonal or otherwise uncomfortable. There are many people just like Christine out there who can’t get the care they need because of anxiety or fear, and that’s why we make comfort our number-one priority for your visit. You may have noticed in Christine’s interview that coming to our office played a major role in restoring her self-confidence. As expected, lower self-confidence due to an imperfect smile is not a unique problem among Americans. In that same study, 22 percent of adults cited fear as a reason for not visiting the dentist. This is why we always do our best to be transparent upfront and provide a plan to our patients before beginning any treatment. Doing this has proven to build a mutual trust, a factor that goes a long way for those who struggle to visit the dentist on their own. It’s clear that having a smile you’re comfortable showing can improve your self-confidence and mental health, but many people don’t realize that your oral health can also influence your risk for other serious conditions. 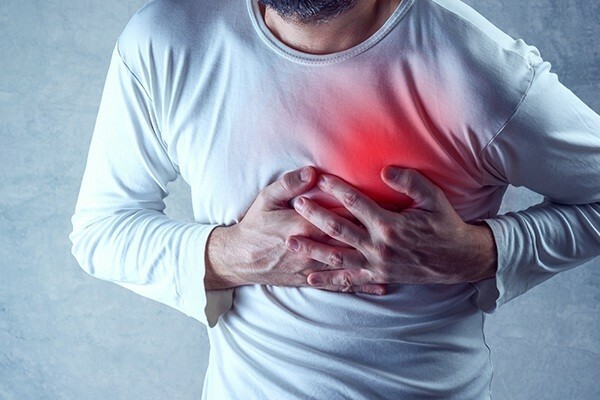 For example, those with gum disease are at higher risk of developing cardiovascular disease. This is largely due to plaque being capable of traveling from the mouth into other areas of the body via infected gum tissue. By establishing a strict routine now, you truly make a difference in your systemic health and your social life, not just your oral health. It’s important to keep in mind that 363 days out of the year, you’re managing your oral health on your own. Routine visits are important, but 99 percent of the time you’ll need to have a dedicated self-care regimen that works for you. This mainly includes brushing twice a day with fluoridated toothpaste and flossing daily, but there are other ways you can protect yourself from dental disease as well. Keep a diet that promotes oral health and keeps teeth clean. For example, raw fruits and vegetables are ideal for scrubbing away plaque and loose food debris in between daily brushing and flossing. Make sure to consistently drink water throughout the day to prevent dry mouth. Include a fluoridated mouth rinse in your routine. Choose one with a specific goal in mind, whether it’s for strengthening tooth enamel or killing bacteria that contributes to bad breath. If you struggle with dry mouth, choose an alcohol-free variety. If you struggle to floss, consider purchasing floss picks to make cleaning the sides of teeth easier. Keep spare picks in your car or bag if you can’t stand the feeling of food getting stuck in your teeth. Avoid using toothpicks which can easily damage tooth enamel. Even with the most thorough at-home care habits, there’s nothing quite like a professional cleaning and exam from Dr. Herr, Dr. Luccio or Dr. Vo. Visiting every six months gives us a chance to confirm that your at-home habits are improving and maintaining your oral health. 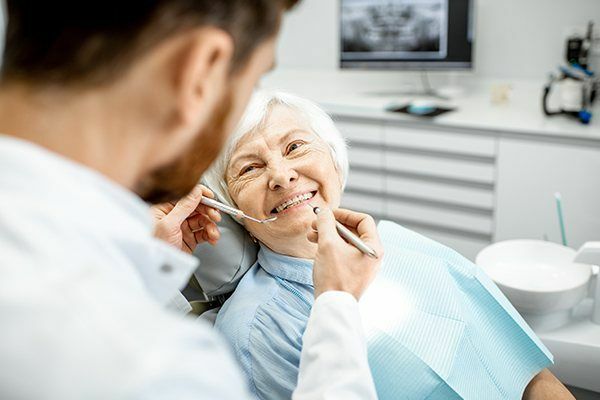 They also help us catch any issues sooner rather than later, which is an incredibly important step in lowering dental care costs and avoiding the need for emergency dentistry later. With that said, we cannot stress enough that it doesn’t matter how old you are; you need routine appointments. In fact, younger and older patients are among the groups that are most vulnerable to dental disease. Routine appointments at a young age make future visits much easier as you age, while visits at an older age help us catch conditions that affect older folks disproportionately compared to the rest of the population. Removing tooth decay and treating gum disease is obviously the main focus at Capron Park Dental, but that doesn’t mean you should settle for a smile that doesn’t make you confident. Once we’ve established that your oral health is in good condition, we can get started on getting you the smile you’ve always dreamed of having. Keep in mind that it doesn’t matter how small or large your cosmetic issues may be. By having a variety of cosmetic treatments available in our office, we can easily hide chips, cracks, permanent stains or gaps in your smile. In Christine’s case, getting her oral health back on track was just the first step of transforming her oral health future. With her confidence reestablished in her dental care provider, it was clear that giving her a smile she wanted to show off should come next. Invisalign, Veneers, Teeth Whitening and More! 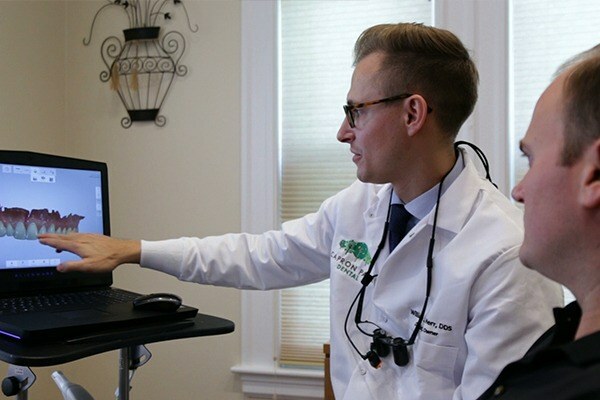 At our office, we offer free orthodontic consultations to those looking to remove mild to moderate levels of crowding or misalignment with Invisalign. This system uses a series of custom-made clear aligners that gently shift teeth into a healthier and more aesthetically-pleasing position. Thanks to their transparent traits, adults can easily fix issues they may not have been able to before, all without making a dramatic change in their appearance! If you’re more interested in removing stains that have settled in teeth, professional bleaching solutions like at-home teeth whitening make it easy to remove stains deeply embedded inside of tooth enamel. 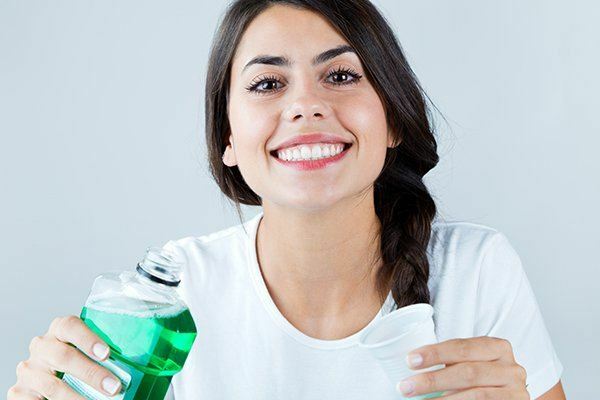 Keep in mind that these are far from what you’d find in your local pharmacy as professional options carry much higher concentrations of whitening agents and use custom-made trays to keep your smile evenly white. Finally, those who would prefer to hide a combination of issues, whether they be stains or gaps in their smile, porcelain veneers offer an all-in-one-solution. These razor-thin sheaths of dental ceramic are designed to sit flush on top of natural teeth, effectively hiding any imperfections. With proper care, there’s no reason that your veneers shouldn’t last at least a decade! Whether you’re trying to overcome your fear of dental visits, achieve a clean bill of oral health, or create the smile of your dreams, the team at Capron Park Dental is always on your side. If you have a family member or friend who wants or needs to have any of these issues addressed, we’d love to make them apart of our dental family. Until then, we hope everyone has a positive start to their spring season!